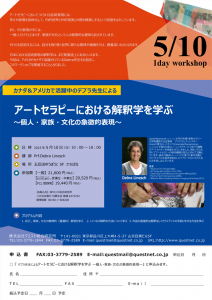 JIPATT is a program that aims to provide the opportunity for individuals to acquire an art therapist training certificate from the Canadian International Institution of Art Therapy "CiiAT" recognized by the Canadian Art Therapy Association "CATA", whithout leaving Japan. If you need more information　please contact us. 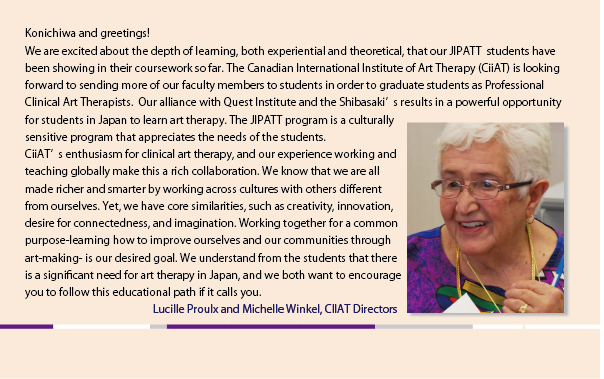 In 2014, Quest Institute became affiliated with CiiAT (Canadian International Institute of Art Therapy) and established Japan International Program of Art Therapy in Tokyo (JIPATT). 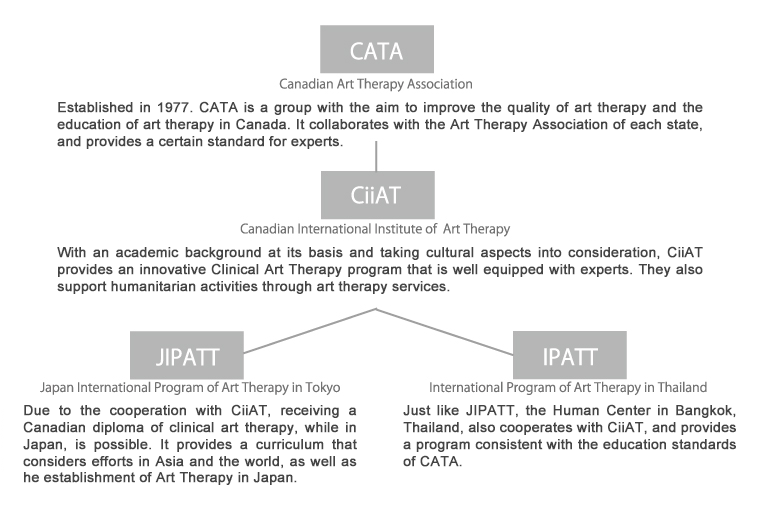 The JIPATT curriculum affiliated with CiiAT in Canada aims to develop human resources who are able to offer their skills they learn, through art therapy knowledge of an international standard and to increase the spread of art therapy in Japan. The spread of art therapy will contribute to improve the quality of mental health care for subjects in the area of welfare and within medical care in Japan. We also believe that art therapy will be proposed as a new modality of care for preventive medicine within education, industry, and clinical psychology. In 2014, the first graduating class started and has continued to gain field experience in placements such as clinics, pediatric units, psychiatric units, palliative care units, geriatric facilities, and free schools. The population such placements serve are those with down syndrome, children with developmental disorders such as autism, truant middle school students, mental health patients with disorders such as depression, as well as adult survivors of domestic violence. Without only relying on medicinal or dialogue based approaches, art therapy can be a non verbal modality that has two different approaches; an approach utilizing the therapeutic power of art itself and a psychodynamic dialogue centered approach. Such methodologies have been recognized in Canada, America, and Europe　as well as Korea and Thailand * a significantly effective modality for those who are in need of mental health care. In Japan, Parliament finally established the bill for the national licensing for psychotherapy in 2015. We can therefore conclude that preparations are being made to wholeheartedly engage in mental health care, as a country. Vast clinical experience and extensive knowledge of psychotherapy is necessary in order to actively participate in the field of medicine and education. The only program that offers art therapy education of an international standard is JIPATT. Therefore one can learn the “clinical art therapy” program while maintaining the current lifestyle, without having to study abroad. Art Therapy School, CiiAT, is responsible for the training of clinical art therapists. ●A learning style for working people. （Generally on Saturdays, Sundays, and holidays, 1-2 times a year (9 days), completed in 3 years). In order to become a specialist such as an art therapist, it is not enough to only learn theory and techniques. Students are expected to build clinical experience by engaging with the clients in field placements and to provide therapy through the guidance of an experienced art therapist. Additionally students are expected to understand the environment of their placements and to be able to actualize what is learned in training in the field. Certified art therapist in America and Canada. Canadian International Institute of Art Therapy (CiiAT) Co-Director. Executive Director for IPATT and JIPATT. Former Executive Director for The B.C. School of Art Therapy. Honorary Member of CATA, The Association des Arts-therapeutes du Quebec. Advisory Board Member for the Arts Health Canada. CATA Vice President. Since 2004, in cooperation with the Canadian University Service Overseas, held post in office at a children’s rights protection center in Bangkok, Thai. Has 50 years of experience in the infancy and childhood psychiatry unit a The Montreal Children’s Hospital. Provides training and workshops specialized for professionals and parents. Authored “Strengthening Emotional Ties through Parent-Child-Dyad Art Therapy”. 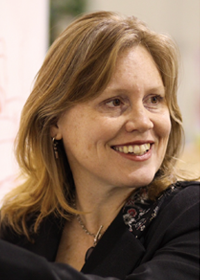 California State certified marriage and family therapist, art therapist certified in North America, art therapist certified in Canada, serves on the Board of Directors for the Canadian Art Therapy Association. 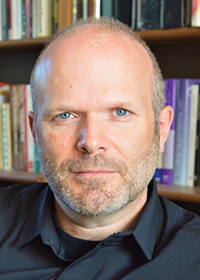 Has taught at Los Angeles Loyola Marymount University, Human Center in Thailand, and BCSAT at British Columbia and also serves as the Executive Director for the B.C. School of Art Therapy. Since 1999, she has also started providing group art therapy to businesses and organizations, incorporating her skills and experiences as an artist. Additionally she has been a supervisor for 5 years for a school agency in California. DAT (candidate), DKATI, RCAT registered art therapist, clinical supervisor, and serves as a lecturer and presenter internationally. 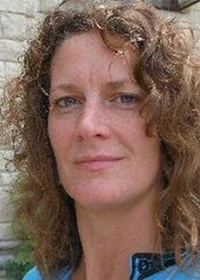 Specializes in art therapy that focuses on the body, trauma, sexual abuse, and addiction. Is mainly active in art therapy that emphasizes the relationship with the body, neuroscience and trauma, art therapy for different age groups, psychological support for working individuals. Additionally, she focuses on the construction of the theoretical basis of therapeutic body mapping and is currently researching ways such skills can be utilized in a cultural understanding of a neuroscience-based trauma. Former Vice President of the Canadian Art Therapy Association. Authored: “The Use of Art Therapy in the Treatment of Addiction”, “Parents Handbook on Reducing Anxiety: what’s going on in the brain”. psychologist and art therapist, is a regular professor in the humanistic approach section of the Psychology Department, University of Quebec in Montreal (UQÀM – Québec, Canada). He completed a Bachelor's degree in Arts Education (Concordia - 1995), a Master's degree in Art Therapy (Concordia - 1997), a Bachelor's degree in Psychology (UQAM 1998) and a Doctorate in Psychology from UQAM (2005). He has been practising art therapy (art psychotherapy) with children, adolescents and adults since 1995. His clinical and educational interests are in art intervention, creativity and phenomenology. He is also interested in the importance of the therapeutic relationship, be it in individual intervention, in dyads (parent / child) or in groups. With the help of doctoral students, he is leading several research projects in collaboration with a variety of organizations in Montreal, including Petits bonheurs (cultural mediation), Centre Jeunesse de Montréal- University Institute (Youth protection), the Quebec Cancer Foundation, the National Center for Dance Therapy (Les Grands Ballets Canadiens) and the Montreal Museum of Fine Arts (MBAM). Politically involved in the professional recognition art therapy in Quebec for more than 20 years, he also acted as President of the Quebec Art Therapy Association (AATQ) for 10 years. He contributed to the field with more than 30 lectures and scientific publications. Art therapist. Psychiatric Social Worker. Completed the Advanced Diploma course at the Vancouver Art Therapy Institute. Completed her Ph.D. at Wilfrid Laurier University Faculty of Social Work. 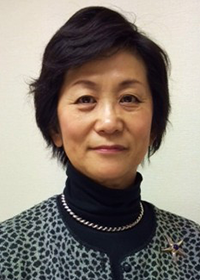 Professor at Japan Women's University Social Welfare Department. 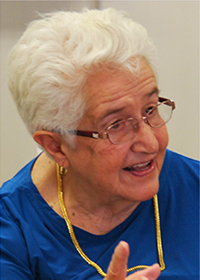 She has practiced with immigrant and refugee children, individuals with mental disorders, and the elderly. She is also engaged in social work education and is active in the field, while constantly searching for intersections between art and social work. 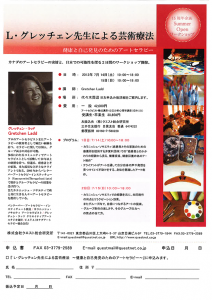 Authored, “Acculturation and Social Support: Women of Japanese Descent in Multicultural Canada” (Tokai University Publishing Association) and “Art Therapy for Immigrant Children” (Vancouver Art Therapy Research Institute), and other publications. Art Therapist. Clinical Psychologist. Completed Marriage and Family Therapy/Art Therapy at Notre Dame De Namur Graduate School. Returned to Japan after extensive research with San Mateo City Elementary Schools and Family Centers. 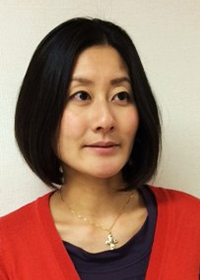 Gained experienced through various posts as psychological counselor for the Tokyo Municipal Education Consultation Center as well as a psychological counselor at an infertility clinic. 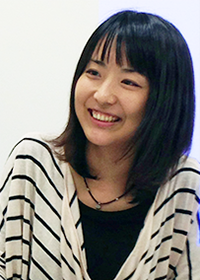 She is currently a school counselor for Tokyo and provides support for children, adolescents, parents/guardians, as well as teachers. She is also actively involved with the mental health for children and adults by engaging in community support groups, counseling rooms, and seminars for companies. Art Therapist. Bachelor in Psychology from East London University. Graduate of the Diploma Program at Vancouver Art Therapy Institute. Professional Member of the Canadian Art Therapy Association. 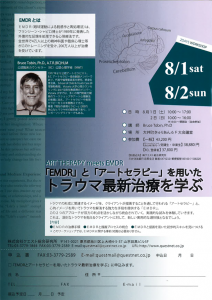 Member of the Japanese Society of Psychopathology of Expression &apm; Art Therapy. 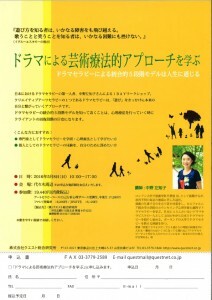 Provides art therapy at counseling offices and workspaces in Tokyo. Additionally provides workshops for individuals working in social welfare. LEARNING OBJECTIVESThis course will prepare the students to work with pre-school and school-age children, and adolescents. • The student will study the importance of attachment. • Students will become familiar with trauma, and developmental delays. • The student will learn how to conduct a Suicide Assessment. • Students will develop tools for assessment and intervention. LEARNING OBJECTIVESThis course is designed to study the use of art therapy with clients experiencing symptoms of the major diagnostic categories described in the DSM 5 (The Diagnostic and Statistical Manual-Fifth Edition, published by the American Psychiatric Association). • The student will study the use of Art Therapy with clients with mental illness and abnormal emotional behavior. • The student will explore personal views and the cultural complexities of psychopathology, illness and health. • Students will become familiar with the specific signs and symptoms of various diagnoses and learn how to use the DSM 5. • Students will become familiar with how aspects of these illnesses and psychopathology show in the client’s behavior in therapy and in their art work. • Students will develop tools for assessment and intervention. LEARNING OBJECTIVESThis experiential and theoretical course is an introduction to the use of art therapy with families. Included will be a review of the philosophy and epistemology of family therapy, and systemic thinking and attachment theory. The course will explore various applications to family art therapy and family trauma, addressing family roles and hierarchies, strategic theory, re-framing, positive connotation and role-playing. Several assessment procedures will be presented. • Students will understand the epistemology of family therapy and family art therapy. • Students will be introduced to systemic thinking and attachment theory and dysfunctional families. • Through role play, drama therapy techniques and re-framing, students will learn how to conduct family art therapy. LEARNING OBJECTIVESThis experiential art therapy studio course offers an opportunity for the student to personally experience the art therapy process through exploration of art materials and art therapy techniques applicable to work with individual and groups. The Instructor will facilitate the process of analyzing the art work using phenomenological and symbolic methods. • To experience the art therapy process by exploring both spontaneous art-making and some art directives. • To develop skills in symbolic interpretation through creating art and journal writing. • To learn a variety of approaches to Art Therapy Assessment. • To develop skills in understanding the art therapy image. • To demonstrate appropriate therapeutic presence and awareness in a safe therapeutic relationship. • To observe, identify, analyze and apply appropriate therapeutic skills through role play, and learning to give and receive feedback. • To respond therapeutically in a culturally sensitive manner. LEARNING OBJECTIVESThis experiential art therapy studio course offers an opportunity for the student to personally experience the art therapy process through exploration of art materials and art therapy techniques applicable to work with individual and groups. Students explore the experiential and practical aspects of group process through art activities grounded in group art therapy theory. • To develop skills in group art facilitation. • To experience the art therapy process by exploring both spontaneous art-making and some art directives. • To develop skills in symbolic interpretation through creating art and journal writing. • To learn a variety of approaches to Art Therapy Assessment. 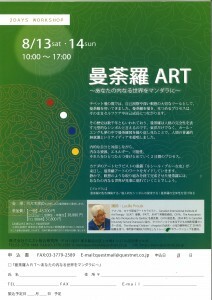 • To develop skills in understanding the art therapy image. • To demonstrate appropriate therapeutic presence and awareness in a safe therapeutic relationship. • To observe, identify, analyze and apply appropriate therapeutic skills through learning to give and receive feedback. • To respond therapeutically in a culturally sensitive manner. • To recognize and illustrate the application of Art Therapy to the treatment of special issues with a variety of clinical issues and client populations. • To have a thorough knowledge of the CATA code of Ethics. • To evaluate the ethical dilemmas and make clinical decisions based on art therapy ethical principles and legal requirements. LEARNING OBJECTIVESThis course will familiarize students with the start of art therapy all over the world by means of a DVD presentation, Art Therapy has Many Faces by Judith Rubin. The course will also focus on the role of art in healing and the variety of art therapy roots from the psychodynamic, phenomenological, humanistic, behavioral and systemic theoretical approaches interpreting art therapy imagery, using both didactic and experiential methodologies. Emphasis is on achieving a working knowledge of the different theoretical constructs and on gaining some knowledge in their practical application. • Students will become familiar with the history of art therapy in America and in the school’s country; • Students will become familiar with the various approaches involved in psychotherapy and counseling. 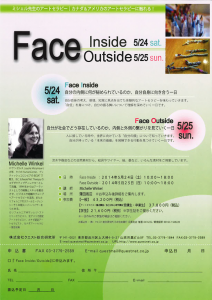 • Students will learn how various applications will apply to understand the art work produced in Studio and in practice. LEARNING OBJECTIVESThis course will prepare students to write their thesis/special project. It will also look at the construction of a literature review. This Course is designed to provide students with a deeper understanding of research methodology and how to apply it specifically to their thesis /special project questions. • Demonstrate a thorough understanding of qualitative and quantitative research methodologies. • Develop a didactic method of focusing on the thesis question. • Develop an ability to follow the thesis proposal outline. • Create a Thesis/special project proposal. During your on-site training, for every 10 hours of practicum you will have one supervision. The supervisor will be an instructor who has experience and knowledge in both Japan and Canada. To prepare for your thesis that will need to be submitted as part of your certification requirement, you will learn to analyze, research, and use investigative methods in ”Research and Thesis”. Your assigned instructor will also support you through the thesis submission process. You will gain versatility through learning about self-analysis through drawing analysis, art-counseling methods (IDCT), process artwork therapy, as well as, use of materials, creating a space, and use of self. This course teaches psychological analysis, mandatory as a therapist (education analysis). Experience self-analysis that integrates both Jungian psychology and Eastern philosophy, and use it as a tool to get to know yourself. Anyone can enroll but in order to obtain a diploma, candidates would need to complete at least obtain a bachelor’s degree from a 4 year college or more. ※If you are not a psychology major graduate, you will need a certain amount of psychology credits from schools like The Open University of Japan. For the admission overview (Application Process) please check the PDF below. For the JIPATT Terms of Agreement please check the PDF below. At Quest, we have had a range of students who are in their 20s to those who are in their 70s. You can start learning Art Therapy at any age. Some of our students have chosen “Art Therapy” as a starting point for their second life. Can I continue working while studying? Our current students continue to work while attending school. Additionally, our program is scheduled utilizing weekends and holidays. I am not a college graduate but can I still attend? However, to receive your diploma you must have a Bachelor's degree. If you do not have a Bachelor's degree please receive your Bachelor's while attending the JIPATT program. Some of our current students are attending The Open University of Japan or Online Colleges, while attending JIPATT. I did not graduate with degree in psychology, but can I still attend? A bachelors degree in psychology is not required., if you have completed the required units in psychology. We have students who do no have degrees in psychology, Some of their degrees in fine arts, or other humanities These students are able to contribute to the class by utilizing knowledge they have through what they have been learning and through life experience. Can I become an art therapist even though I have not graduated from an Art College or specifically studied art? Being an art therapist mean that you need to have some experience in using art , materials. It is an advantage if you have it already. However, you will get this experience in your training, if you do not have it already. At JIPATT you will experience how to support others empathize through the utilization of art. I am interested in working in the medical field, but I am not confident that I can do it. We will carefully teach the skills and the know-how to work in the field, so do not worry. With field training, you will gain a lot of experience. If there is anything you don’t understand or are troubled with, an art therapist with expert training, who will supervise you, will help you with each issue to so you proceed without feeling anxiety. What are the benefits of enrolling in Japan? If you were to enroll in this program in Canada, the tuition and living expenses could range from 4,000,000 to 5,000,000 JPY. In comparison, the benefit of attending in Japan is that you can enroll for significantly cheaper. Also, another benefit is, because the classes are scheduled on weekends and holidays, you will be able to continue working or living your normal life. 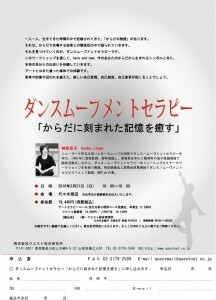 Additionally, the support from the Japanese staff is very comprehensive. Lastly, opportunities for fieldwork in Canada are also available for those who request it. What is the art therapy qualification? In Japan there is a national examination to acquire a teacher, social worker, and psychiatric social worker qualification, but in Canada, you must qualify with a professional organization to practice as a social worker or art therapist. So, there are several art therapy training institution in Canada that have been approved by the Canadian Art Therapy Assosiation as established schools providing the highest educational standards. This includes CiiAT. Undergraduates and graduates in psychology, counseling, social work, and art, as well as graduates from different concentrations, train to be art therapists in these training institutions. After graduation they may become professional members of the Art Therapy Association and continue to work as art therapist. This qualification has been recognized along with psychological counseling and school social work, as an essential and effective modality in the field.